Non-Penangites will now be able to buy affordable housing units here in a move by the state government to address the overhang situation. State Housing, Town, Country Planning and Local Government Committee chairman Jagdeep Singh Deo said affordable units that fall under the open market category would be up for sale at market rate and not bound by affordable housing pricing. “We have allowed open market sales before. In every affordable housing project, 30% of the units will be sold under the open market category. “This time, we have decided to increase the percentage to 40%, of which 20% can be sold to non-Penangites who are not registered voters here. “That includes our projects in Penang Development Corporation, as we are facing the same challenges,” he said during a press conference in Komtar here yesterday. 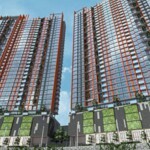 Affordable units in Penang come with three price tags – RM150,000, RM200,000 and RM300,000. Jagdeep said Penang had an overhang of 3,445 units in 2018 compared to 2,271 in 2017. He also said the income eligibility for affordable housing had been raised by RM2,000 in each category. 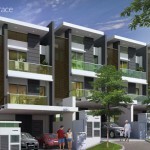 For a RM150,000 unit, the household income is now RM8,000 compared to RM6,000 previously. The household income is RM10,000 and RM12,000 for the purchase of a RM200,000 and RM300,000 unit respectively. “The biggest challenge we have is the high bank loan rejection rate. “One of the reasons is the household income of a family is not sufficient to meet the criteria during bank loan application. “That’s when we decided to increase the income cap by RM2,000 across the board,” he added. Jagdeep also said the 3% approval fee for purchase of property by foreigners would be waived in February as a measure to boost sales of high-end properties. 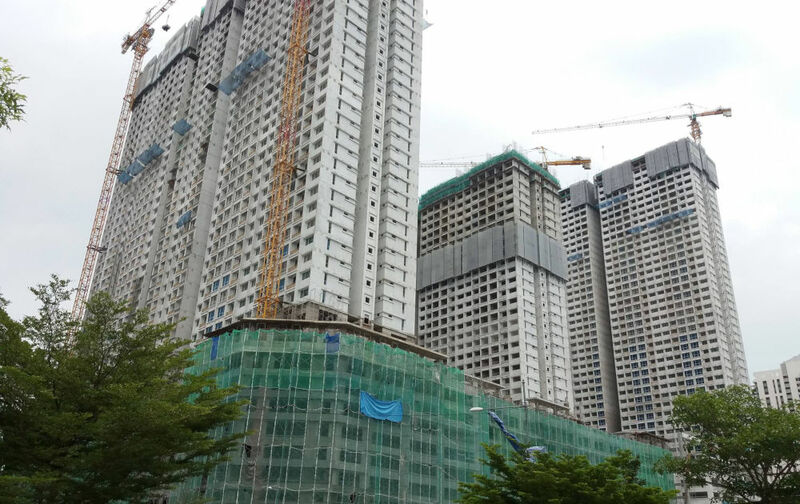 On Penang island, foreigners cannot buy anything less than RM3mil for landed properties and nothing less than RM1mil for a stratified or high-rise unit. On the mainland, it is RM1mil for landed properties and RM500,000 for stratified or high-rise properties. Jagdeep said while there has been an overhang in Penang, it was “manageable”. “But being that as it may, I think it is important for the Penang government to continuously assist the housing sector,” he said earlier before announcing the measures taken by the state early this year. Jagdeep urged all developers to focus on affordable housing, assuring they will have no problems in selling their units. “I don’t understand what high compliance costs the developers are talking about, as they also sell units for RM1mil and RM2mil. “In any case, it’s cross-subsidised as the 30% requirement for them to build low cost and low-medium cost units is the compliance and their profits from luxury units could easily cover this,” said Jagdeep when asked about the concerns of high compliance costs highlighted by some developers. He also said he was tasked to help the lower income group and provide them with affordable housing. He said the government would solve the high rejection rate with new guidelines in the coming months and the Finance Ministry’s exemption of stamp duty for first-time homebuyers for properties up to RM1mil was a way towards solving issues in the industry. “There is no glut and I can confidently paint a rosy picture of the housing industry in the state, which will further prosper in 2019,” he added. 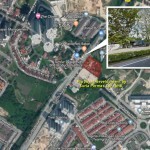 Actually high compliance cost is the development fee, contributions, local gangster protection money la(sampai millenium year d, this issue unable track down by govt, haiz…. )… apa lagi unsure? Just know keep asking developer to build affordable units only, mana developer can sustain? Thought developer profits sangat banyak ke? Sir Jagdeep have to understand juga. Margin not thick can keep building even overhang? What you smoke bro? Share some? C’mon lah, if developer profit not banyak, why do you think everyone wanted to become a developer 5 years ago. And the way they built here and there and everywhere, that showed profit very fat lah. But here’s the issue, and it applies to everyhing, too much of goodness is bad. Basic free market concept, the reciprocating nature between market demand and human greed will automatically sort itself out and converge to market equilibrium. So the slow down is normal, without which we might eventually see an even worse ending. One of the reason people don’t want to buy affordable housing is too much restriction to sell in the future. Let’s say you have cash flow problem, need to cash out urgently in the future, you have to wait for state consent after finding buyer. By the time you got the approval may be you already bankrupt. Another reason is those upgrader who wanna sell their LMC to upgrade to 300k affordable house can’t do so because not yet 10 years. Even after 10 years have to wait state consent, already phobia going through the hassle of state consent. Money in the economy system is not flowing due to government policy which is not business friendly. Imagine if there are not so much restriction, LMC owner will sell their house easily in open market to those looking for units cheaper than 230k, then buying another new house happily. Government earn from stamping duty, lawyer and clerks got paid, renovation contractor got business, furniture shop, bank etc all get money. Look at the chain effect in a big picture. Penang state government, I plead you to relax the rules on LMC and affordable housing, it’s for the greater good for all. Dont worry, the state gov is already mulling over a scheme through which a LC/LMC unit can be resold back to gov before the 10-year expiry date, at its original purchase price. This will enable you to cash out in the event you’re on your way to bankruptcy or death or holand. Very enlightening post from you. Then again, will the authorities that be listen to the people ? Early Jan, I just submit my application for affordable house for RM300K but until today still in waiting list, check with e perumahan, they say the approval is one month or 2 month once to approval with whole batch, I dun understand why its need a batch approval, why can’t they just speed up the approval process? Now they say overhang….. The genuine home buyer who previously obtained LMC housing while their salary was indeed qualify, work hard through over the years to afford better quality of life. Out of a sudden, they may face difficulties such as business, health care expenses, education fund etc. Do you think it’s fair to those people to resell back to state government at original price without factoring in the interest paid to banks and inflation? Note that in the future they can’t apply LMC anymore and they have to pay market price to buy any house. Don’t simply categorized all LMC seller as speculators. Why do the rich people, ADUN and MP can sell their house freely in open market price and deny those LMC owners their rights to sell their asset? Any buyer of affordable housing should be very concern with the flip flop government policy that is retrospective, ie. they can impose any new rules on property that you bought before it was implemented. Do you really think those rich speculator will care? They don’t want the headache of collecting rentals, rather leave the house empty for 10 years, or forever just make it into a storeroom if the state government make it difficult for them to sell at 200k or rent out. End up those who really seek house at 200k and only can afford at that price range in the island can’t get any house in the location they want. Fact is most Malaysians can only buy property below 230k with their salary and the so called affordable housing is not really affordable according to BNM median income salary. The recent policy (house ownership program) is deemed developer friendly, but disregarding those who wanted to sell their subsale home, which can be anytime cheaper than developer by a huge margin. 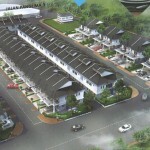 BNM Fund for Affodable Homes and Rumahku Portal UPCOMING: Butterworth / Bagan Masyhur Sdn. Bhd.